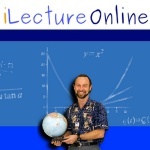 Michel van Biezen offers a well-organized series of 107 short lectures explaining everything you need to know in math before starting high school. This series is essential for any student looking to fill the gaps in their math education from Grades 1-8. This series is also perfectly suitable for adult learners looking to brush up their math skills.